Embrace your love for classy accessories by adding this earring set from Bo'Bell Jewels to your jewellery box. 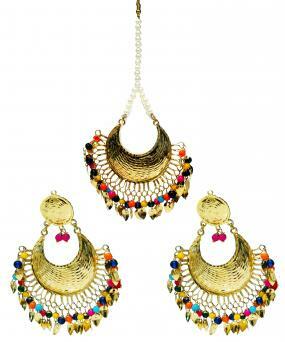 Beautifully beaded, this earring set will complement most of your ethnic attire. Besides being visually appealing, these alloy danglers are skin friendly too. A Earring set adds a pop of pretty color. Chic and appealing, this earring set from Bo’Bell Jewels are a must-have in your accessory collection. Featuring gold finish and a beautiful design, this earring set will go well with kurtisin every shade. Made from alloy, this earring set are light in weight and safe for your sensitive skin. Look gorgeous wearing this impeccably-crafted earring set by Bo’Bell Jewels. 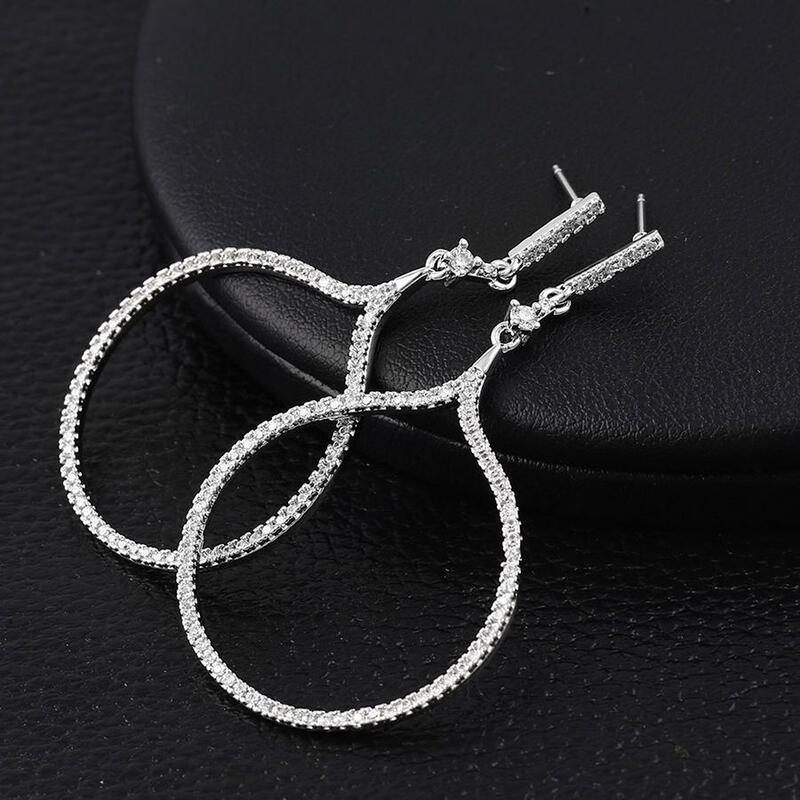 Made from alloy, this earring set will be lightweight and extremely corrosion resistant. Team them with an equally stunning Anarkali suit to add immense grace to your ensemble. This daring earring set will put you in the spotlight. Look feminine and beautiful by wearing these earrings for women from Bo’Bell Jewels. Made from alloy, these earrings are perfect to be worn with heavily worked ethnic wear. 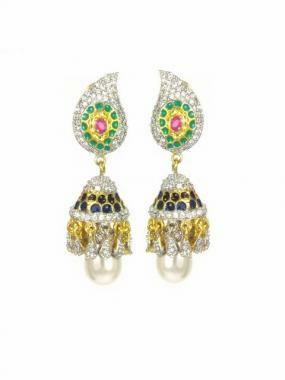 You can team these earrings with sarees, suits or lehengas to look fabulous. Check out this multicoloured earring set from Bo’Bell Jewels that are all you need to glamorise your simple ethnic avatar. Featuring stone embellishment and an appealing design, this earring set will become your favourite in no time. Made from alloy, this earring set featuring gold finish are light in weight. Complete your look with this earrings. Classy and versatile, these multicoloured danglers from Bo’Bell Jewels will not fail to glam up your look. Perfectly embellished with stones, these designer danglers will help you stand out in the crowd. Made from alloy, these danglers featuring gold finish are light in weight and skin friendly. 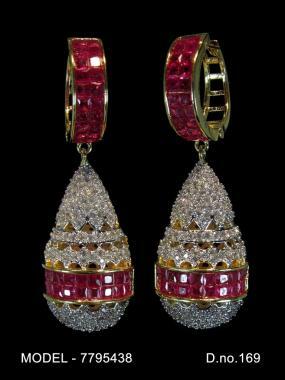 Stand out in the crowd wearing this pair of CZ danglers from Bo’Bell Jewels. Made from alloy, these danglers are durable and skin friendly. Wear these danglers with a matching saree or a salwar kameez to get noticed. 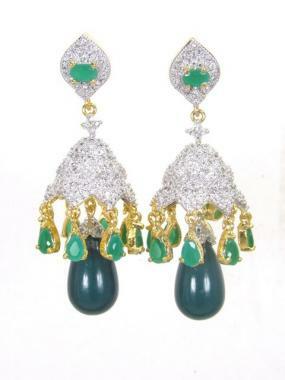 Chic and appealing, these green coloured earrings from Bo’Bell Jewels are a must-have in your accessory collection. Made from alloy, these earrings are light in weight and safe for your sensitive skin. Look wondrously gorgeous at the next wedding gala flaunting these CZ earrings from Bo’Bell Jewels. Exquisitely designed with a lucent silver gold-tone finish, these alloy earrings are rust resistant and long-lasting too. 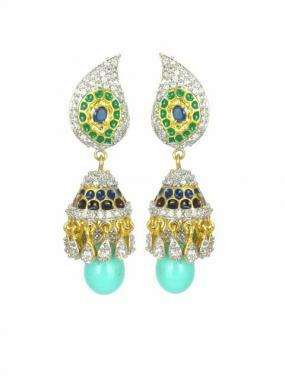 Dare to dazzle with this bejeweled/radiant/shiny earring. Embrace your love for classy jewellery by adding these danglers from Bo'Bell Jewels to your jewellery box. 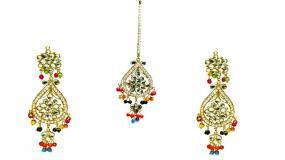 Beautifully beaded, these danglers will complement most of your ethnic attire. Besides being visually appealing, these alloy danglers are skin friendly too. Dress to impress with this earring. From the house of Bo’Bell Jewels comes a beautiful complement to your charming demeanour in the form of this gorgeous pair of CZ earrings. While the gold plating lends these earrings a touch of resplendent grace, the alloy craftsmanship assures lightweight longevity. This earrings accents add eye-catching sparkle. Add some serious spark to your graceful look by wearing these CZ danglers from Bo’Bell Jewels. 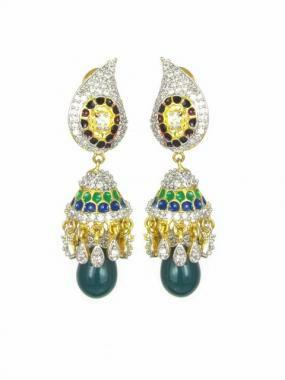 Exhibiting excellent craftsmanship, these earrings are embellished with fine stones and beads for added attraction. Crafted from alloy, these danglers are also durable and rust resistant. 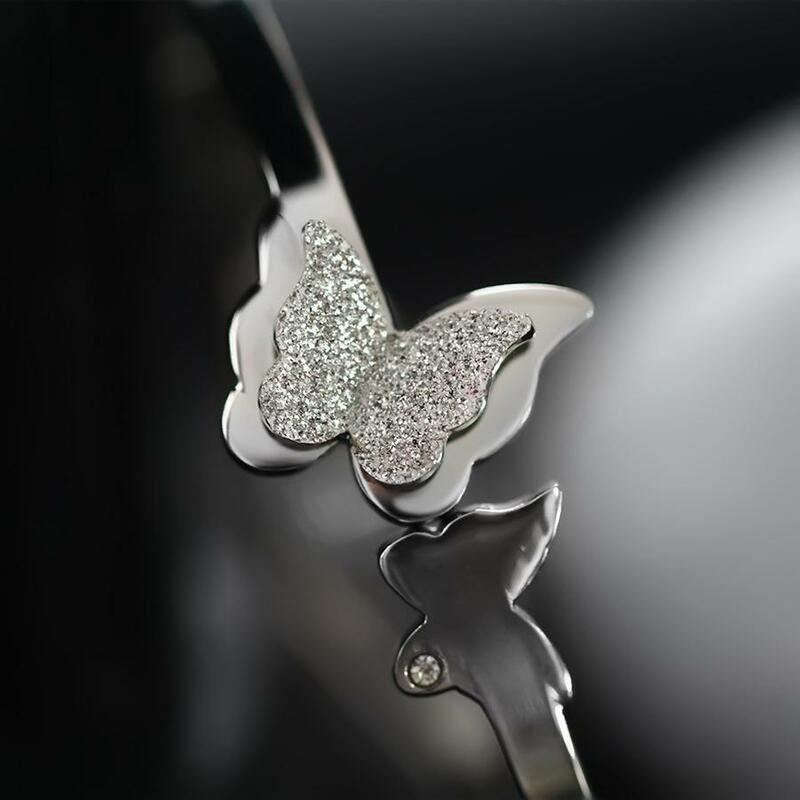 A flaunt-worthy pick for the next gala is this exquisitely designed CZ bangle from Bo’Bell. Highlighting the exquisite grace of these bangle is the gold plating on them, while their alloy make assures longevity and rust resistance. 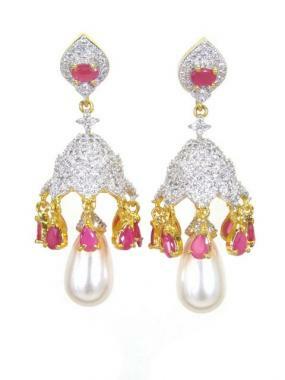 Look wondrously gorgeous at the next wedding gala flaunting these white coloured earrings from Bo’Bell Jewels. Exquisitely designed with a lucent gold-tone finish, these alloy earrings are rust resistant and long-lasting too. Look elegantly gorgeous at the next social do by wearing this white coloured necklace set from Bo'Bell Jewels. The alloy craftsmanship makes this set rust resistant and durable, while the exquisite embellished accents lend it a touch of mesmerising charm. Chic and appealing, these white coloured earrings from Bo’Bell Jewels are a must-have in your accessory collection. Made from alloy, these earrings are light in weight and safe for your sensitive skin. Hand-crafted to a standard of perfection. 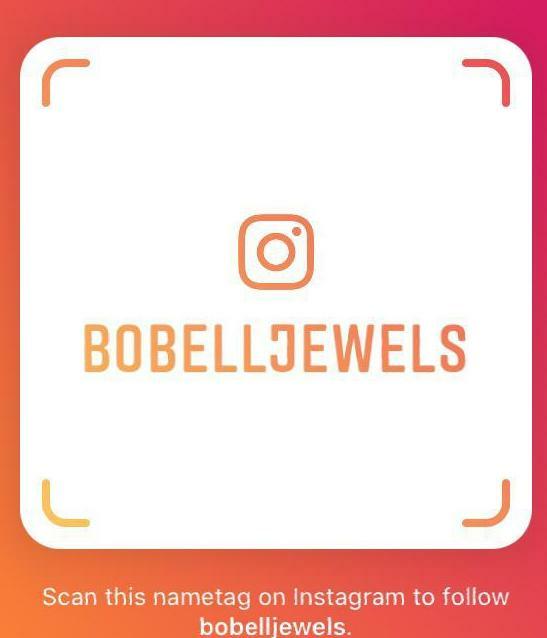 Add a unique twist to your accessory collection with this CZ necklace set from Bo'Bell Jewels. 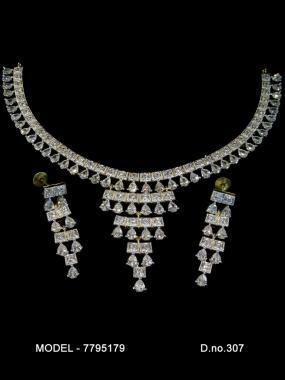 Embellished with diamonds, this traditional necklace set will surely get you noticed at an upcoming family function. 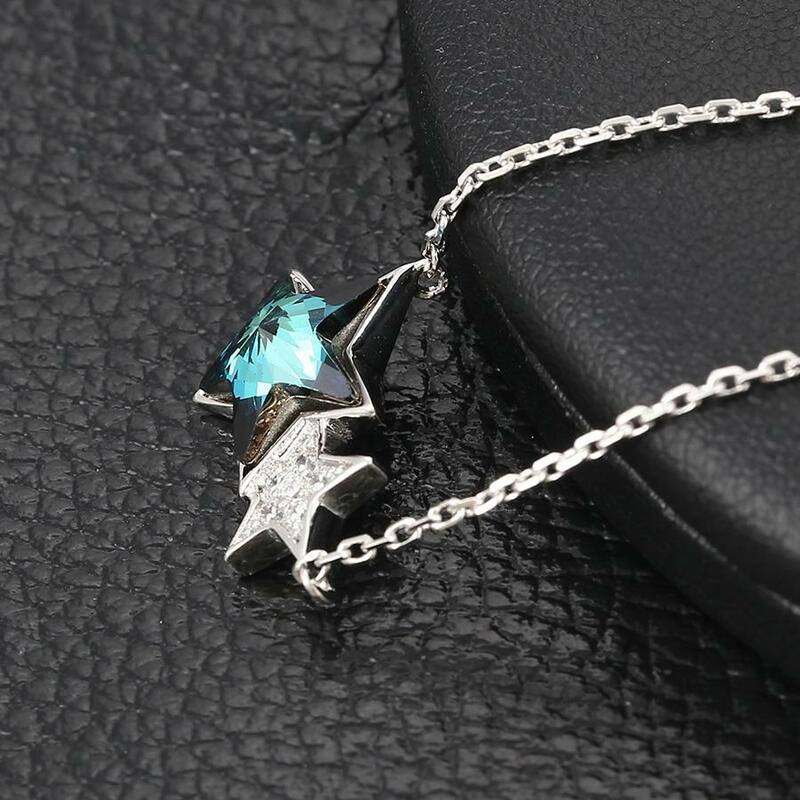 The design of this necklace set is hard not to notice. 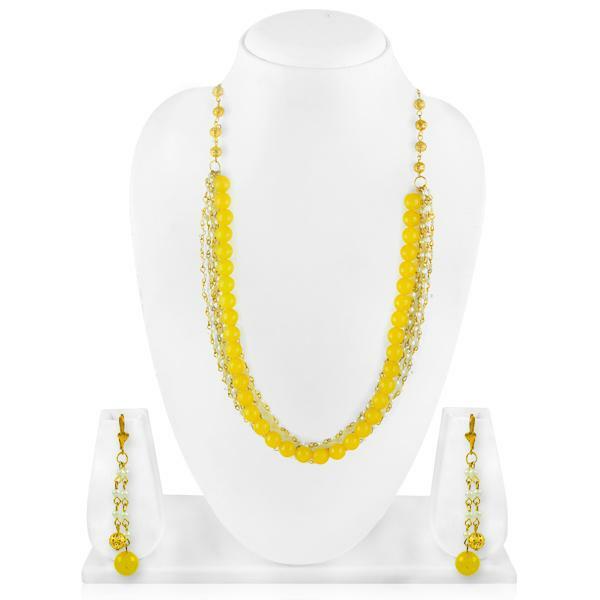 Made from alloy, this necklace set is durable and lightweight too. This daring earring will put you in the spotlight. 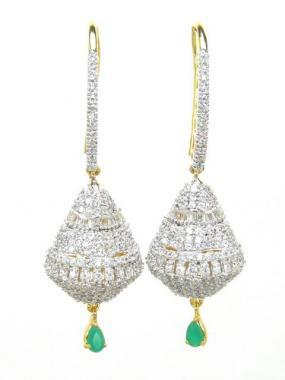 Look gorgeous wearing these impeccably-crafted CZ earrings by Bo’Bell Jewels. Made from alloy, these earrings will be lightweight and extremely corrosion resistant. Team them with an equally stunning Anarkali suit to add immense grace to your ensemble.